Best Chinese Knives: Boker Plus Kwaiken CF Clone Knife Review! 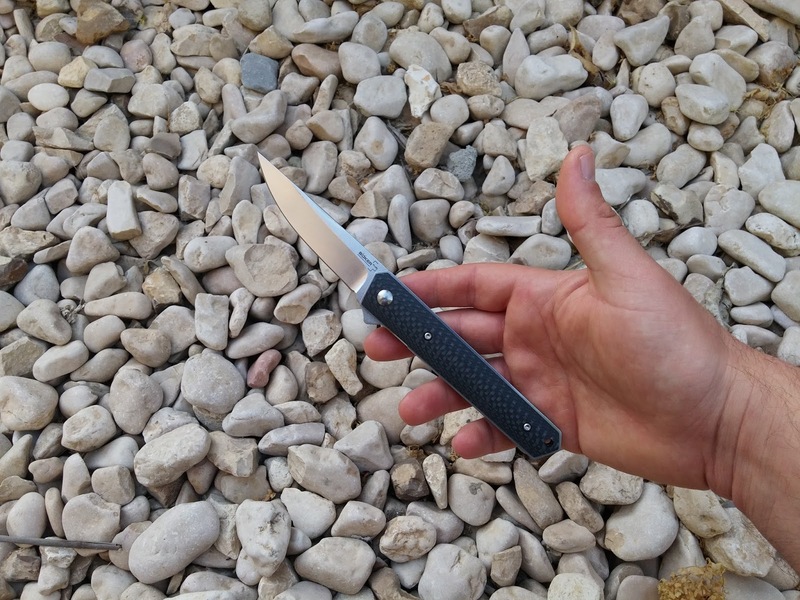 Boker Plus Kwaiken CF Clone Knife Review! I have received this knife a few weeks ago and would like to present you my impressions of it. The knife came in a Boker+ branded black cardboard box with magnetic closure, looks very much like the genuine one. It arrived sharp and no issues out of the box in terms of centering, bladeplay, smoothness, fit and finish. - Improved design - unlike the genuine one, this knife has a few features that make it even better in terms of design and features IMO. These features include skeletonized liners (makes it almost 20g lighter at 107g vs 123 on the genuine), straight flipper tab shape and gimping, beadblasted pocket clip, ceramic ball bearings in a metal shell instead of the IKBS and stonewashed finish on the D2 blade. - Great overall quality - the knife had no issues out of the box and didn't develop any since. - The smoothness and the action - the knife is very smooth, blade drops freely without any bladeplay. - The great Kwaiken design, where the blade is completely covered by the handle, it almost doesn't look like a knife at all, fits great for EDC. It also looks awesome and dressy with the CF scales. - Ergonomics are good and will probably fit most hand sizes and the CF scales are not polished and provide a decent grip. - The knife had a bit of sand-in-bearings like noise when opening and closing, disassembly and cleaning sorted that out. - The original logo is on the blade, would very much like this to be a sterile knife. This knife is a great option for a slim gentleman EDC carry. Although not cheap, it provides a great value for money, especially with the added features, that make it at least as good as the original knife, if not better. 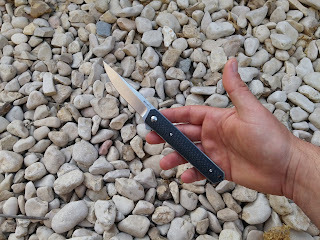 BTW - there is also a newer G10 version that goes for less, while keeping most of the features of this knife.